ALFREDO ESPRESSO FUTURO is suitable for preparation with any coffee machine. 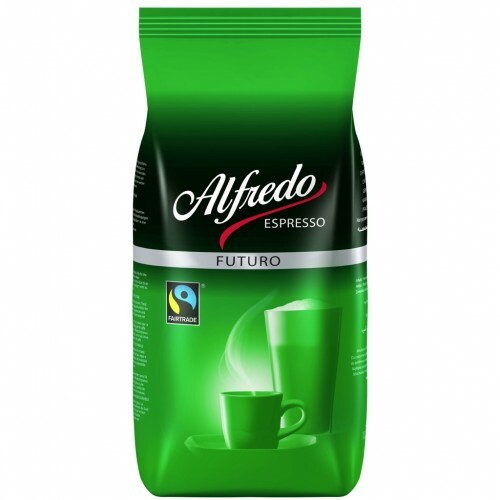 This very dark roast gives ALFREDO ESPRESSO FUTURO its bold, spicy flavour and promises the perfect espresso with its nut-brown tint and smooth frothy coffee. Fairtrade coffee for a sustainable future. Fair Trade-certified and grown by fair trade producers. Total Percentage: 100%.